When you think of Met Gala, you automatically think of New York or the unique fashions we’re used to seeing go viral on the gram. 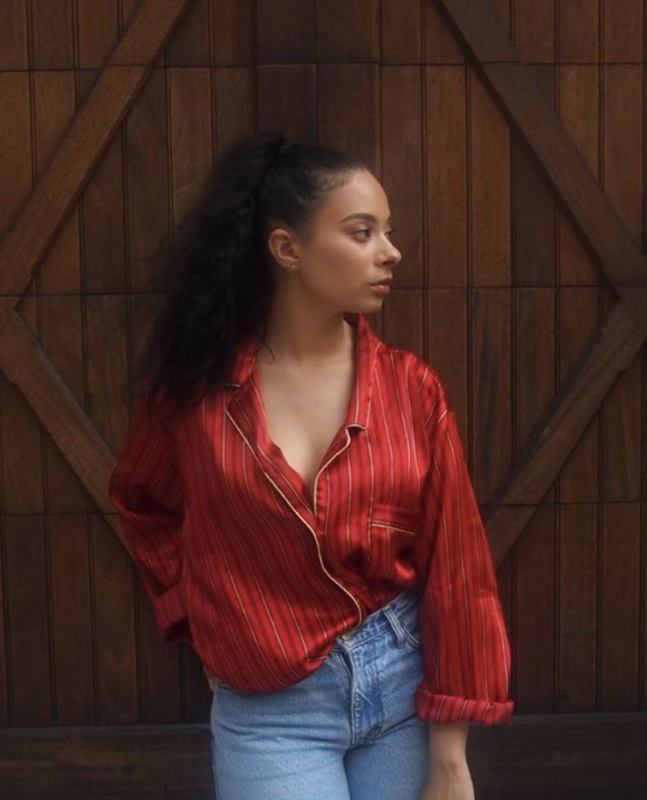 Thanks to 20 year-old college student and jewelry designer Sophia DeOliveira and her team, they’re throwing a Met Gala to not only execute a night of fashion but to redefine brotherhood. Luckily for me, I got to talk to Sophia to breakdown how the idea came about and why it’s so important for it to take place in Philly! Sophia: Hey! How are you ? Sophia: My name is Sophia DeOliveira. I’m a stylist and jewelry designer. Every week I do a feature when my whole entire outfit is from the thrift store. I’m going to community college of Philadelphia in the fall to pursue my business degree, hoping to one day open my own store. My line that will be releasing..once I get my life together haha..will be called Rosebud. The idea behind Rosebud will be redefining luxury. I want to make luxurious pieces, but without the luxurious price. I’ve been in financial situations all my life, never owned a Louis, never had a gold necklace, but instead I found all my favorite luxury pieces from the thrift store! I want people to feel like they’re still worth a million bucks even if they have a $2.00 shirt on. Me: How did the idea of a Met Gala for Philly come about and who’s all apart of it ? Sophia: The people who are involved are Juwuan Ross, the main coordinator of the event. He paid for the venue, made the design for the flyer, brought the concept together. Naihema Powell is the decorator, shell be band making all the center pieces, and she’s in charge of the floor layout and me of course. I heard about the event, but wasn’t really interested at first but then that’s when my best friend finally convinced me. My best friend started asking me to promote it. I was like “hold on, I can’t be promoting just ANY event”. So I decided to take it upon myself to suggest a couple of ideas to Juwuan by messaging him. He loved my ideas so much he put me on board. Ever since then, I’ve been coordinating all the artists, all the food, all the promotion, and many other things as well. Me: What can we expect to see at this met gala guest wise and designer wise ? Sophia: Well definitely the creatives and people within the community because this is what it’s about you know? As far as design, my friend will even be designing our outfits from scratch and I will be designing the jewelry for us ! I think I’m gonna do maybe a thrift pop up to assist people in what they want to wear to the event. Me: So met gala is known for having a set theme . What’s the theme you guys are going for this year and what’s the date ? Me: oh yeah that was dope! I loved that ! Sophia: Yeah exactly ! Same ! so which ever decade people feel like they cling to most, that’s what we want them to dress up in but still in a dressed up way! As far as the date, it’s this Saturday. Me: Do you have to pay to get in ? Me: What’s the minimum people can pay right now ? Me : What makes this event stand out versus what we’re used to seeing on TV ? S: With this event in particular I want people to not just know fashion as wearing a Louis Vuitton bag and calling that fashion. I want people to embrace what they may have brought at the thrift store for $5 and make it look like $500. When you think of fashion you think of Paris ,England , New York, etc . There’s no fashion credit to Philly so I wanna be able to change that narrative and bring change. Me : Fashion is truly what you make it so that’s dope ! What’s the preparation been like for this event ? More so stressful or enjoyable ? Sophia: To be honest at first I thought it was going to be stressful because I have never organized an event in my life but it’s honestly been enjoyable to plan . It has its moments but overall I’ve been enjoying the process! Me: and how old are you ? Me: oh wow , well this is really amazing that you get to do something like this and in a sense you’re not even doing it for you, you’re doing this for your city. What do you want people to take away from this event ? Sophia: When people leave from this event, I want them to create friendships, new business partners, or just good associates. I want Philadelphia ‘s youth to understand that if we all come together and show what we have as a city, people will start to take us more seriously. I want people to show off their favorite era, displaying who they really are in dress form. I want people to meet others that will make their business grow. Me: well thank you Sophia for this ! This was dope and I feel like the city will def appreciate something huge like this ! Take care ! Sophia: oh no thank you & you too ! 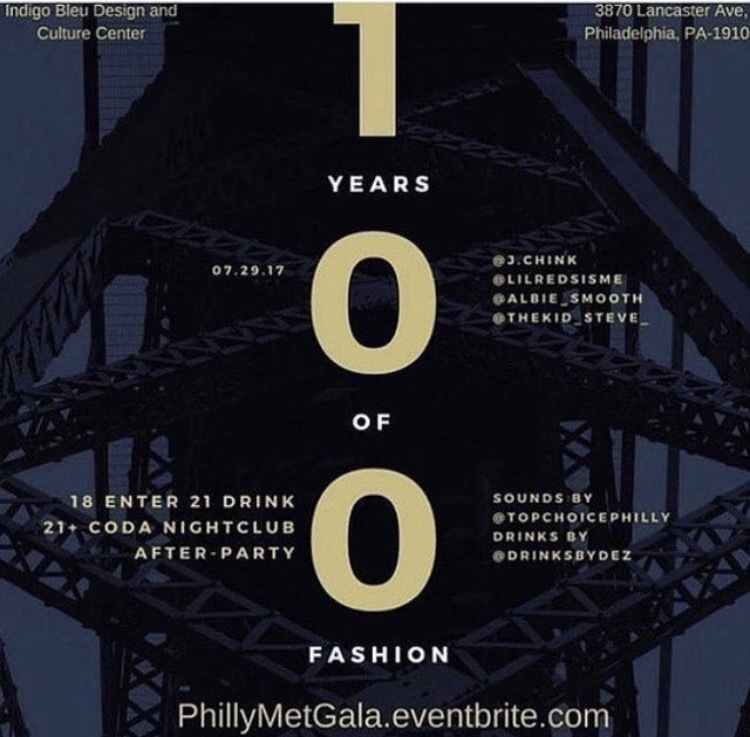 **If you’re in the Philly area, be sure not to miss out on the 1st Annual Philadelphia Met Gala on Lancaster Ave this Saturday from 9:00pm to 1:00am.